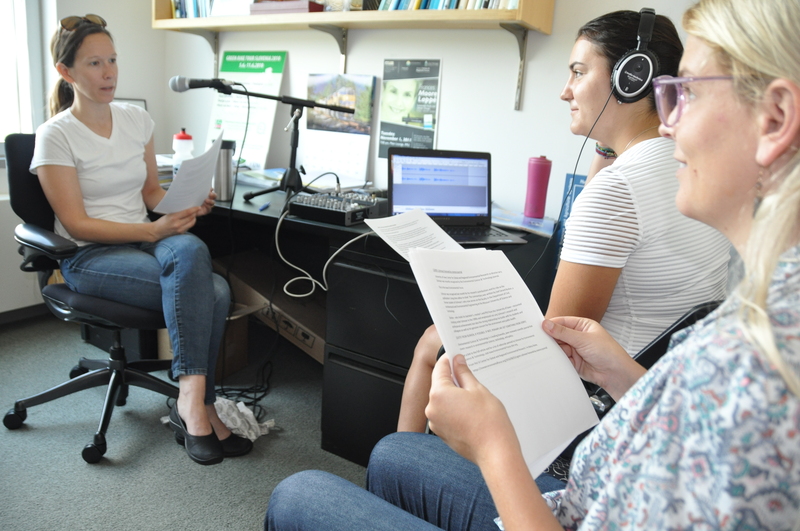 The Center for Global and Regional Environmental Research is partnering with Iowa radio stations to air a new radio segment called Iowa Environmental Focus. Each week, we distribute 1-2 minute clips with information about Iowa’s environment. Narrated by CGRER member and UI associate professor of chemistry Sara E. Mason, the segments cover air and water quality, climate change, extreme weather, sustainable communities, green energy and more – typically with an Iowa focus. If you would like to receive our weekly radio spots at your personal e-mail address or if you have a story suggestion, please contact us at cgrerresearchfocus@gmail.com. Iowa Environmental Focus’ On The Radio segments are available for free use by radio stations and other media outlets. All stories must be credited to the UI Center for Global and Regional Environmental Research. To download the MP3, right click on the “audio” link and select “Save link as…” and save the link to your desired destination. Submit your ideas: We’re always looking for interesting ideas about environmental issues, please contact us with any you’d like to see featured on the Iowa Environmental Focus. Also let us know what kinds of things are going on in your community, we may feature it on the radio as a sustainable Iowa town. E-mail your topic ideas to us at cgrerresearchfocus@gmail.com. Listen for us: Is your local radio station airing our informational spots? If so, please thank them. If not, call in and ask the news director to air it. If you would like us to start sending our radio spots to your personal e-mail account, please e-mail us at cgrerresearchfocus@gmail.com. For more information: email Joe Bolkcom, CGRER Outreach and Community Education Director, at joe-bolkcom@uiowa.edu or give him a call at (319) 353-2681.